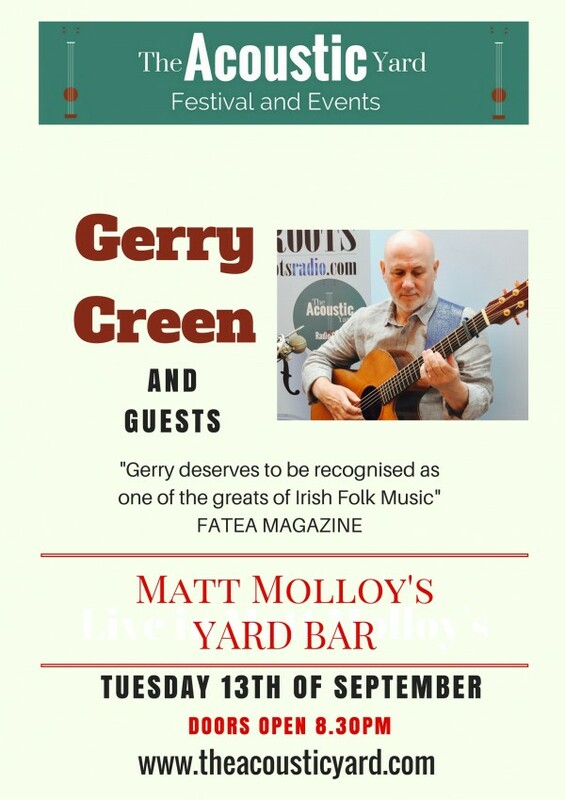 Belfast Folk Legend Gerry Creen plays in Matt Molloy’s as part of The Acoustic Yard Singer/Songwriters Sessions on Tuesday September 13th. he will be joined by some special guests and play some tracks from his new album ‘My Shoes’. 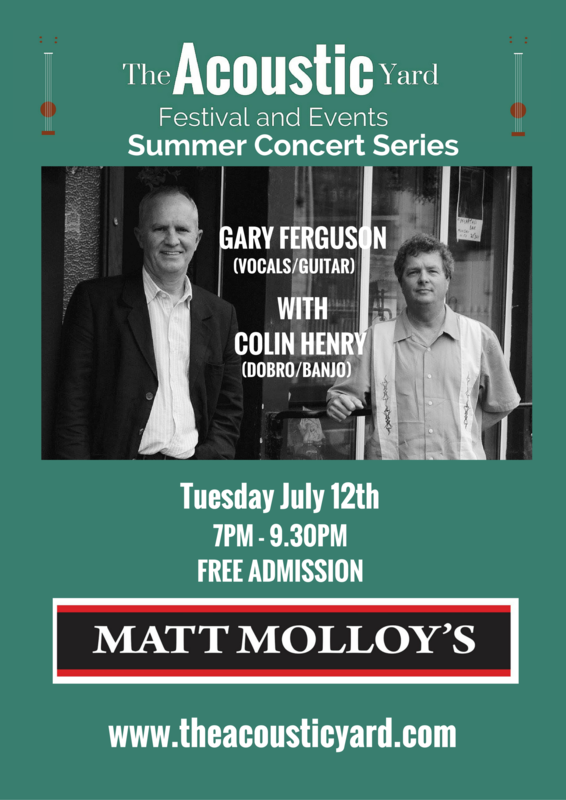 Gary Ferguson makes a welcome return to The Acoustic Yard from the United States on July 12th with a special performance in Matt Molloy’s accompanied by Dobro player extraordinaire Colin Henry. Gary has recently released his fabulous new EP ‘Some Bridges’ with fellow Bluegrass legend Gary (Alan) Ferguson under the appropriately named Ferguson and Ferguson. A fantastic last night at the festival with Kate O’Callaghan and Seamus Devenny hosting ‘The Lark and the Robin’ in Matt Molloy’s Westport. The Acoustic Yard Singer/Songwriters Festival Nearly Upon Us!! 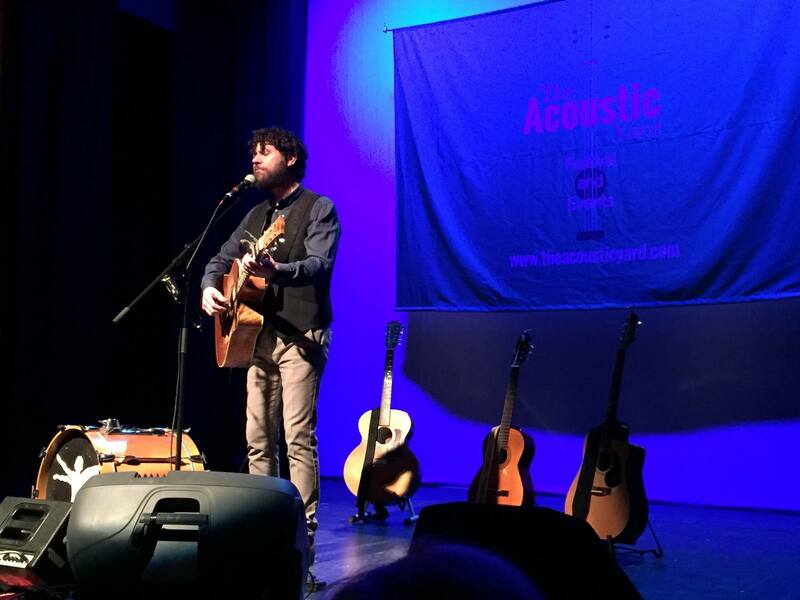 Between the 6th – 8th May Westport will host The Acoustic Yard Singer/Songwriters Festival primarily in the Town Hall Theatre. Over 30 international acts from around the world will be playing around the town with some free events, open mic and showcase gigs. 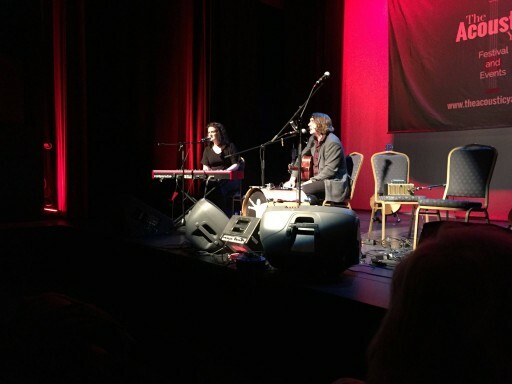 On Friday 6th of May the festival opens with an evening concert in the Town Hall featuring Declan O’Rourke, Anna Mitchell and Craig and Willoughby. Bap Kennedy will be playing Saturday 7th of May in the Town Hall with Kathleen Turner and they will be joined from the USA by Teresa Storch and Jeff Brown. 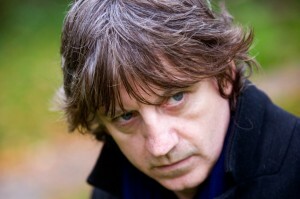 Belfast singer/songwriter Bap Kennedy has won a global audience for his music, which fuses elements of folk and rock with a decidedly Celtic world view. 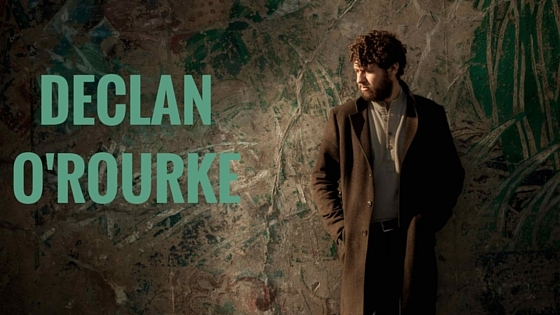 He has collaborated in the past with Van Morrison, Mark Knopfler (Dire Straits) and Galway Girl writer Steve Earle. His song “Moonlight Kiss,” also landed in the Hollywood movie Serendipity starring John Cusack. Tickets for these two events can be booked online at www,westporttheatre.com or at the booking office 098 28459. All other events are free including the Saturday afternoon songwriters collective between 12pm and 5pm that includes international acts Daithi Rua from Belgium and Zia Land from Norway to popular local acts like Graham Sweeney and Brian Duffy. There is an open mic in the foyer with sign in at 11.45am and showcase gigs in the bar area. 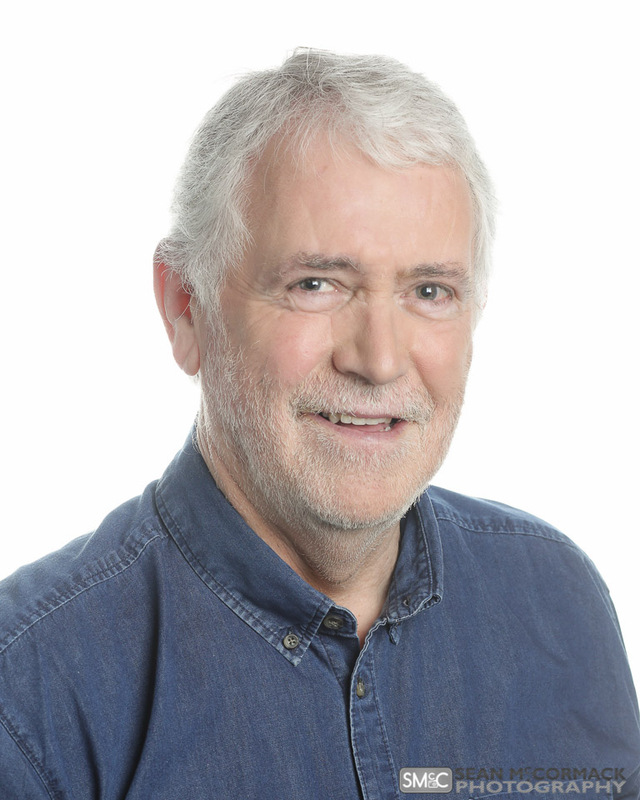 The last day of the festival is called ‘The Songwriters Trail’ where listeners can follow the music from The Creel at the Quay via Mono Cafe, Hight St, The Gallery Wine Bar and Matt Molloy’s Bridge St. Artists on the day include Warren Attwell, Elaine Griffin, Brigid O’Neill and Kate O’Callaghan. There is a special commemorative 20 track The Acoustic Yard Compilation CD on sale for 10 euros featuring some of the acts playing at this year’s festival. It can be bought at the Town Hall Theatre or online at www.theacousticyard.com. The main focus of the festival is for singer/songwriters to have a platform to perform their own songs and for audiences to listen to original music in a relaxed environment and most importantly to enjoy a wonderful weekend of entertainment. Tickets for main evening gigs are €22 each night and can be bought online at www.westporttheatre.com or at the booking office (098) 28459. 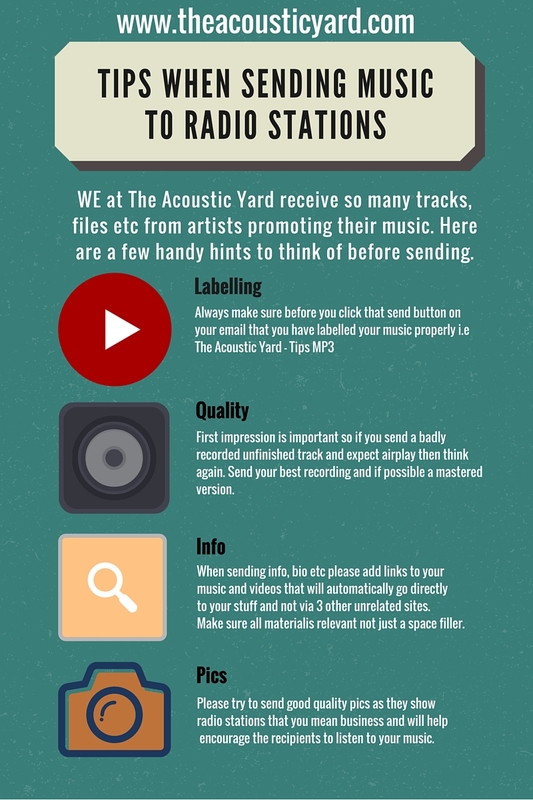 A few handy tips for all singer/songwriters who are looking to get some airplay. It’s not rocket science just a little bit of common sense. Good Luck in getting your music out there! 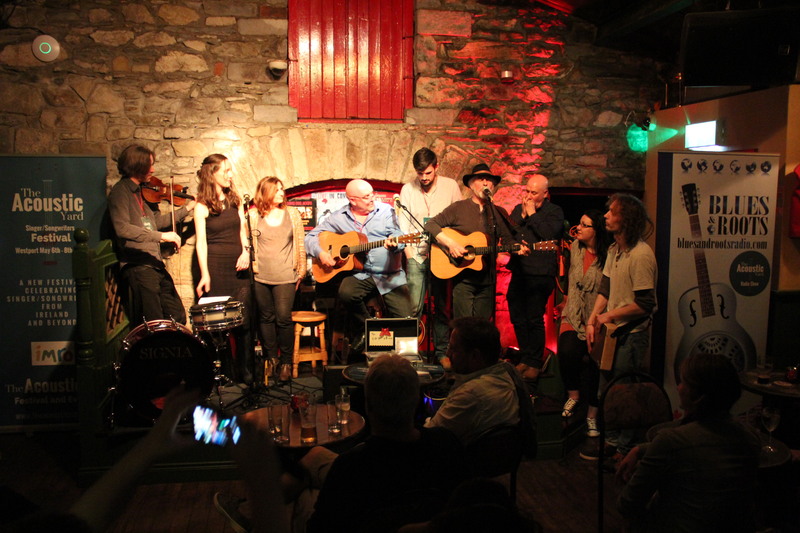 ‘The Acoustic Yard’ singer/songwriter sessions’ initially started up as a monthly event in Matt Molloy’s Yard Bar in Westport in February 2014. The main focus was for singer/songwriters to have a platform to perform their own songs and for audiences to listen to original music in a relaxed environment. 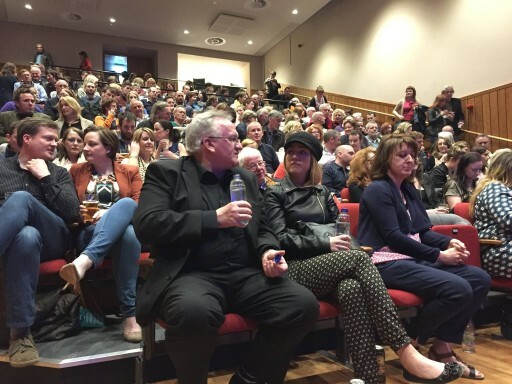 A key aim was to help to invigorate and stimulate songwriting and to supply an evening of entertainment. 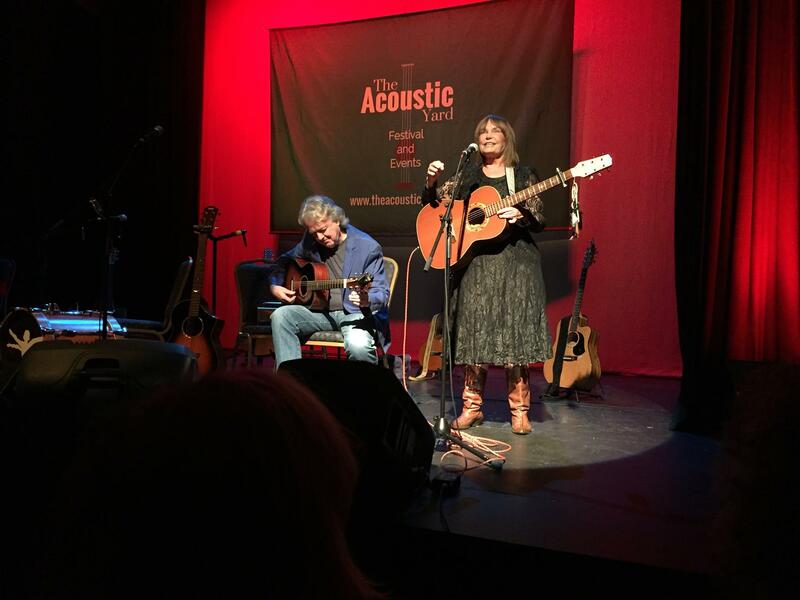 Due to the success of this event, the idea of ‘The Acoustic Yard Singer/Songwriters Festival’ was born and developed into the festival which will take place from Friday 6th – Sunday 8th May 2016, primarily in The Town hall Theatre. The main auditorium of the Town Hall Theatre will host the headline concerts on the Friday and Saturday nights with further concerts and workshops on Saturday afternoon. 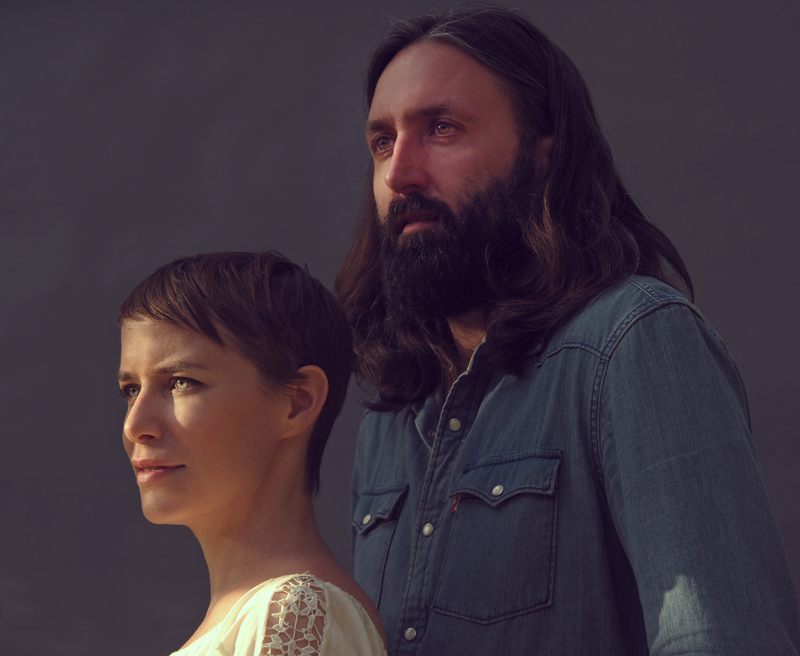 The local cafes will also host some free concerts on the Sunday with a final gig to wind up the festival in Matt Molloy’s Yard Bar in the evening. The musicians will be encouraged to play and busk around the town that weekend to bring an air of festivity to the streets. We have already booked over 30 international acts from the USA, UK, Europe and Scandinavia playing alongside some of our own home grown talent. Artists already booked include Declan O’Rourke, Bap Kennedy, Craig and Willoughby (USA/UK), Teresa Storch (USA), Daithi Rua (Belguim), Zia Land (Norway), Kathleen Turner, Anna Mitchell and many more. 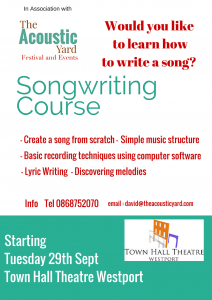 The Saturday afternoon session in The Town Hall Theatre will be of an educational nature as people from all ages can meet professional songwriters who in turn will pass on their knowledge through workshops and concerts. 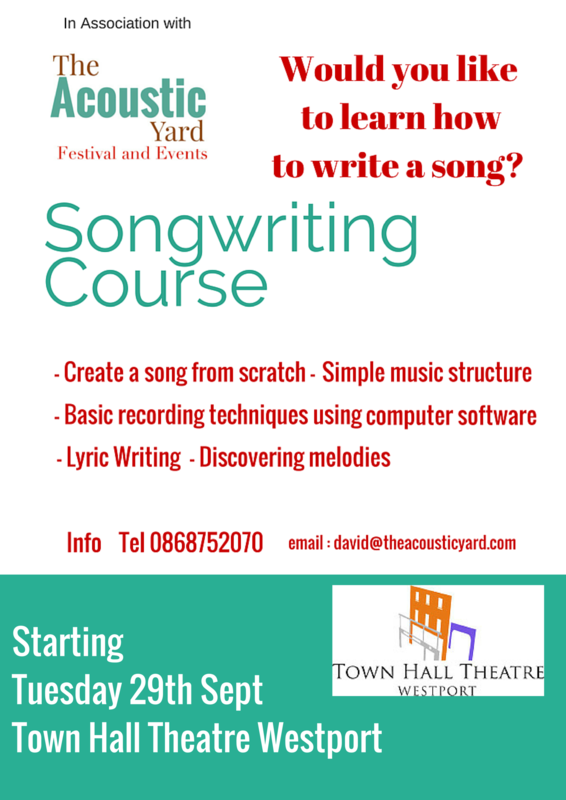 There will also be an art exhibition in the Town Hall Theatre for that weekend around the theme of songwriting. Our festival of original music in one of the most popular music towns in Ireland will help to show a different emphasis to life here in the West of Ireland. 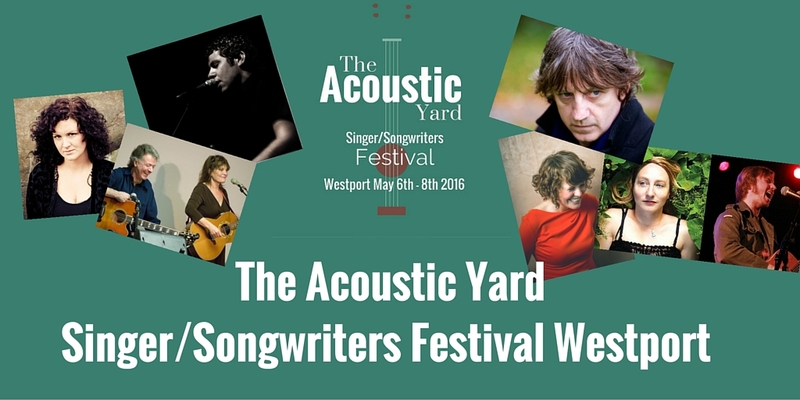 WE ARE PLEASED TO ANNOUNCE THAT BAP KENNEDY WILL BE PERFORMING AT THE ACOUSTIC YARD FESTIVAL ON SATURDAY MAY 7TH 2016. ONE OF MANY ACTS DUE TO PERFORM AT OUR FABULOUS NEW SINGER/SONGWRITERS FESTIVAL.